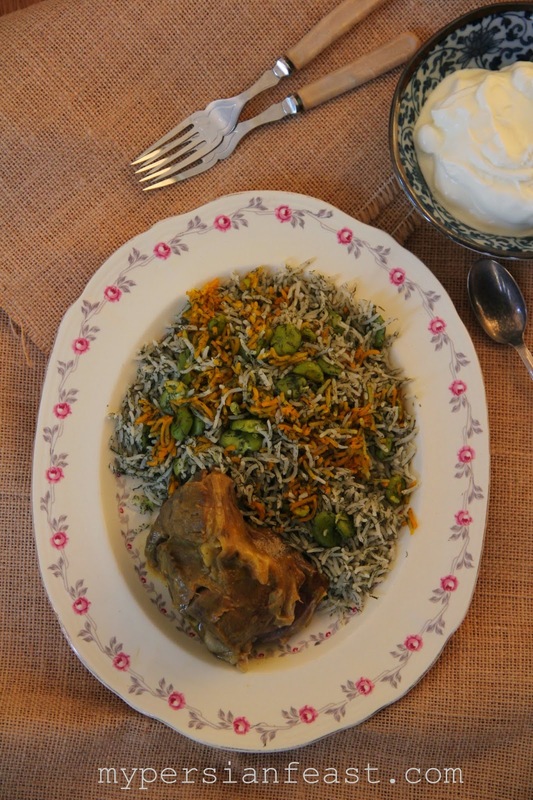 Broad bean and dill rice served with braised lamb is a Persian spring dish. A couple of weeks ago, we harvested our handful of broad beans and cooked dill rice with fresh broad beans from our garden and the week after I baked a birthday cake, a massive four layer cake, and made tiramisu. In short, this is my food news! I sat in front of a computer screen many times over the last two weeks and have tried my hardest to write a blog post about food. Every time, I tried and failed because I couldn't make sentences out of words in my head and at times there were no words in my head. This time, I did not have a story to tell and the smell of food did not lift me and take me to another place and time. So, I decided to forget about writing. The other day, I came across an article in the NZ Herald. I read the paper or at least try to skim through it daily and every time I do this I'm reminded of an old Law Professor from the Bronx. She was just like most law lecturers, too passionate about her stuff and full of energy, in fact so much energy that made my brain cells hurt and like every lawyer I know, she was socially awkward. She said to read the paper daily, get to know who is who and who is not who, study the paper daily so you won't become that socially awkward person who lacks current knowledge and understanding of what reality is. I listened to her and if I am socially awkward at least I understand what my reality is! "We should absolutely not worry about cosmic spanners, good or bad. They will come regardless. And we need to trust we have the strength to overcome if and when they do. Instead, we should focus on the nuts and bolts of everyday life. The tiny stuff. I cannot help but feel that the happiest way forward is to lean hard into joy. Lean much, much harder into the moments of joy and comfort accessible in every ordinary day that passes"
I have focused on downhill battles recently too much, and forgot about everyday joyful moments. In fact, I forgot what everyday joy is for me anymore. In everyday life, if you don't pause for a while, it's too easy to lose track of the kind of joy and comfort that article was referring to. I cook and bake for the joy I get out of it, not because I have an obsession with eating. 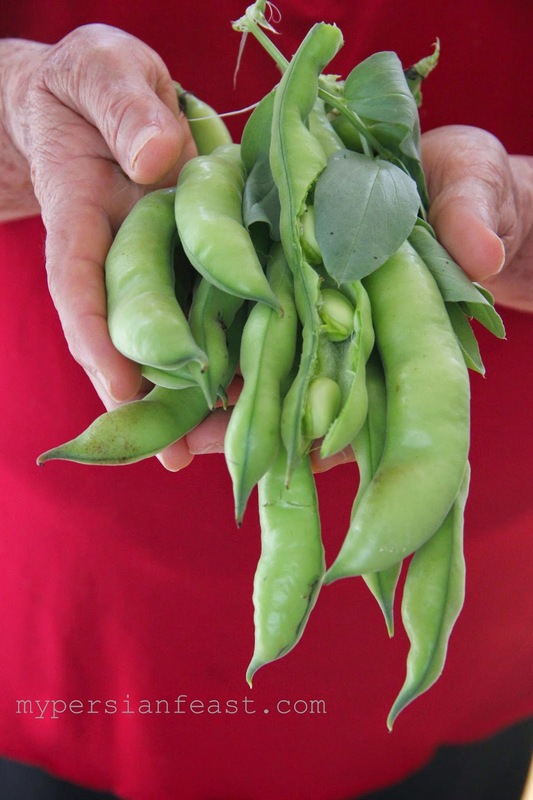 Here is my foodie joys and comforts of the last couple of weeks: pulling broad bean plants out of the garden, spending a few moments looking at our roses, peeling broad beans over a quick chat, then taking photos (even though a frustrating experience, it gives me an opportunity to learn), then celebrating maman's 65th birthday and making her favourite dessert. 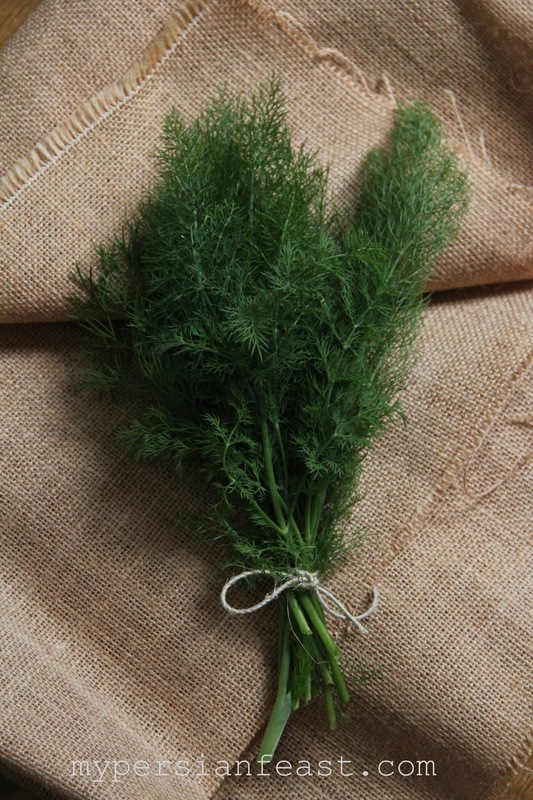 Soak dry dill leaves in a big bowl of water for at least one hour. If there is any foreign matter it'll end up in the bottom of the bowl. Add the soaked dill leaves and broad beans 2-3 mins to boiling rice before draining the rice. Once drained, mix the rice with a spoon to ensure it's evenly mixed. Follow the rest of the Chelo recipe for steaming. Optional: Mix some cooked rice with dissolved saffron. Last week, we celebrated Maman's birthday and she got her favourite dessert, tiramisu. 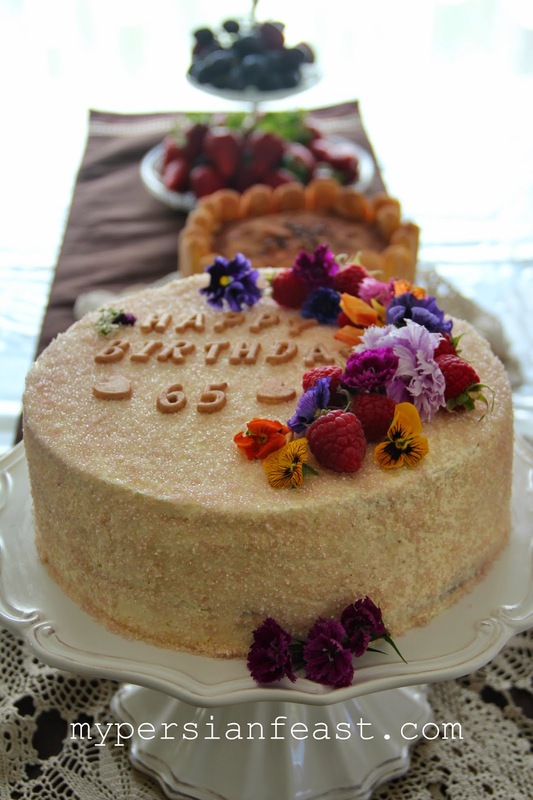 Her birthday cake was an almond cake filled with mascarpone and passionfruit curd then covered with Swiss meringue buttercream and sprinkles, topped with edible flowers. Happy bday to your Mom! Baghali polo is such a comforting meal. I'm thankful Daisy loves it, too.